Many people travel long distances by airplane. Some drive hybrid cars powered by gasoline and electricity. But long ago, most people took long trips by boat or train. 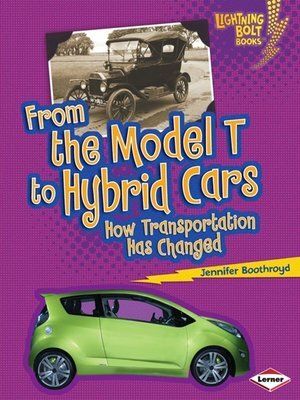 They drove gas-powered cars that people started by turning a crank. In what other ways has transportation changed? Read this book to find out! Learn how daily life has changed over time in the Comparing Past and Present series—part of the Lightning Bolt Books ™ collection. With high-energy designs, exciting photos, and fun text, Lightning Bolt Books ™ bring nonfiction topics to life!